TSL, thank you so much for the spoilers! Christmas in WW has always been my favourite time of year. The SantaKinz Cookie Jar and Snowman Snow Globe are adorable! 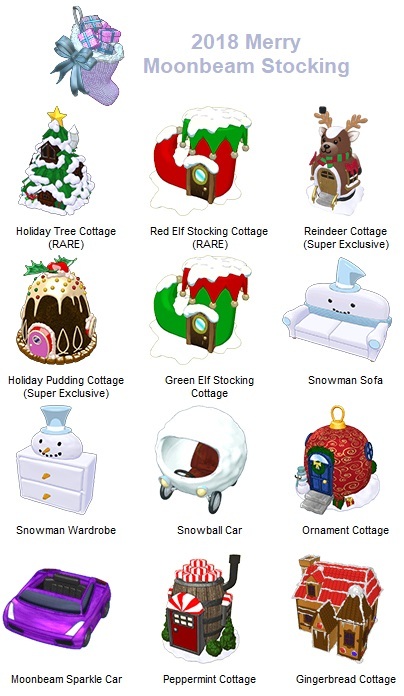 The Holiday Pudding Cottage is really cute as well – it reminds me of the eStore Plum Pudding Seeds And I love the Patio Plants and Reindeer Calf Slippers – there’s so much to look forward to! Aww, the Snowy Retriever Puppy is so cute! Really hoping to win this one. Heading off to the TRs, have a nice day! You know, it should be like that Bed Box exclusive that you can choose or the POTM exclusive. Even our Deluxe Cozy Condo and Fun to be You g we are allowed to choose what we want. Too bad that wasn’t a Sophie Campaign promise along with the monthly eStore freebie. It’d be a lead pipe cinch! dixiecup for mayor! that would be a great campaign promise!!! 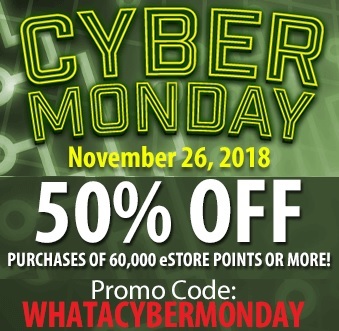 and now with the 50% off sale, you can buy 210,000 pts & get free stockings with them! dd has already booked her christmas flight, so i guess turkey day with the ‘rents wasn’t all bad! in the past she HAD to come home to vacate the dorm……. she has requested peanut butter cookies (which i have made her in the past) with chopped chocolate on top (which i did on some before as a test)…..so off tomorrow in search of vegan chocolate……..actually fairly easy to find. i googled so much today looking for cyber deals………no one had our cat chow or flea and tick stuff on sale……….but dd got a winter coat! This was posted on one of the Discords I am on. I thought some of the flavors of chips they had at 7 eleven were getting out there. Is actual pine oil on the chips besides pine flavoring. you can totally put dope smoker on here LOL super powers! heeeeyyyyyy – medical might help you! ewwwww Christmas tree flavor??? blech! gagagee, thank you SO much for the gift! It was such an unexpected and wonderful surprise. I love it! I ended up finding the Holiday Pudding Cottage in the Trading Room too, yay! I sent you a surprise as well, hopefully you don’t have it yet! Thanks again for being so thoughtful and generous ♥ Hugs! Dee, your comments made me snort. Also YAY about the pasta! What a quick way to use up leftover turkey! I’m not a turkey fan, myself, so we do little cornish hens for Thanksgiving. They’re cooking down into 10-hour simmered broth in the crock pot now! Perfect for cold and flu season coming up. 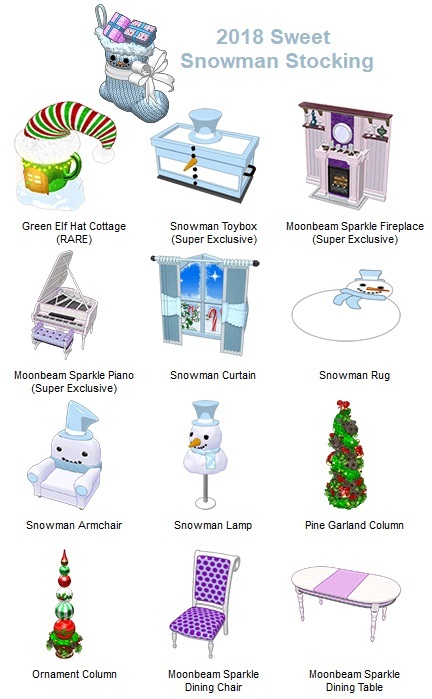 if anyone is looking for the moonbeam sparkle car, ornament cottage, or gingerbread cottage & has any of these cottages to trade, let me know! Momskinz my YD and I were talking about that the other day I suspect I’d be allergic and I tend to have weird reactions to things. Got rain instead of snow this morning, then it switched to snow while I was driving to school, the ground was covered by the time I got there, and it was raining and the snow was gone by the time I left. Love michigan weather, love the winter… fall… whatever season this is supposed to be. Not. Winter arrived here overnight.. looks like 3 inches… really windy ! Cheese…Thank you !! Love my gifts too ! Happy you were able to get the Holiday Pudding Cottage… Haven’t attempted the trading room for many years ..
moms.. as usual… seems like the cottages are pretty hard to come by…they are all so cute ! Hope you have a good day… To all of those who winter has arrived.. stay safe ! miss you all!!! sorry I’ve been gone for so long. I hope everyones well. Chococat not sure where you are at in the state. Probably supposed to know but depending, that is a perfectly normal fall day in Michigan to a hey we aren’t supposed to have snow until January or everything has been covered in snow for at least a couple a weeks already. Variable weather is common because of the lake effects and the elevation. Personally I’ve seen slightly more white Easters than Christmases. Hi CWC sorry you missed the sale. Momskinz no I don’t think I was around, that sounds awful. I had my second hep a shot today. So far just extra sleepy and arm a little stiff. No reaction to the flu shots beyond a little itchy. Need to get that for this year.. Had a reaction to the tb serum a couple of years ago so now they just do a blood draw. That only lasted three days. had leftover pecans, leftover celery, leftover apples………. I’m back from my Thanksgiving break! Actually arrived home Sat. night, but this is the first chance I’ve had to log in. I have so much to read to catch up on! Not impressed with Quack’s campaign. I guess it is between the ladies this time. I need to go read what they are promising again. We got back Sat. as well. dee, you definitely had it rough at the in-laws when dd was a baby. We at least have a room I have a little ‘princess and the pea’ situation going on. Just can’t sleep anywhere but my own bed. We had a good time though. I had some time this afternoon so I sent out some gifts from the wish lists. I sent what I had extras of, nothing needed in return! I also sent out some friend requests from zeker1013 because I have things I can send you. it’s so cold here, but no snow of course! Dex Dangerous is promising to bump up our free daily SPREE rolls from 1 a day to 3 a day to help us make it to the SPREE Mall even faster. Dr. Quack – In the same way that we added Happiness, Hunger, Energy and Family Score boosts to all showers during my tenure as mayor, I believe we should do the same for saunas. We released one as a Deluxe Day prize this past year, but if I’m re-elected, I will make it my priority to make one that’s available to everyone, and to make all saunas provide care for your pets. I’m not really excited about any of their promises. It looks like Sophie is more popular when I read comments on WKN. Thank you, April, for the wish list items! I completely missed that campaign, so it was nice to get those items! So sad that Thanksgiving break is over, and we are back at it … tough, long day today, but I can see the light at the end of the tunnel … unless that’s a train. Errr. Going to bed early to try and catch back up! Have a great night, everyone! Moms, I’m around! And it IS cold!! Kiddo and I camped out inside all day today- the carpet guy came and installed carpet, so now we can play in the living rooms again. We filled the room with a giant wooden train track layout. And we baked homemade gingerbread cookies. Kiddo ate *3* for bedtime snack!! I named my Midnight Marten “Callisto”, because his sparkles and stars remind me of some stunning photos of Jupiter’s moon, Callisto. I haven’t claimed the Flutter Cow yet. I don’t adore pink, and don’t know what I’m going to do with it. What is everyone else naming their new Black Friday friends?